Are you searching for decor which makes a simple but bold statement for this Holiday Season? Something rustic but elegant? Simple but beautiful? Perhaps you are planning a winter, rustic wedding and you want a pieces that pack a large visual punch. 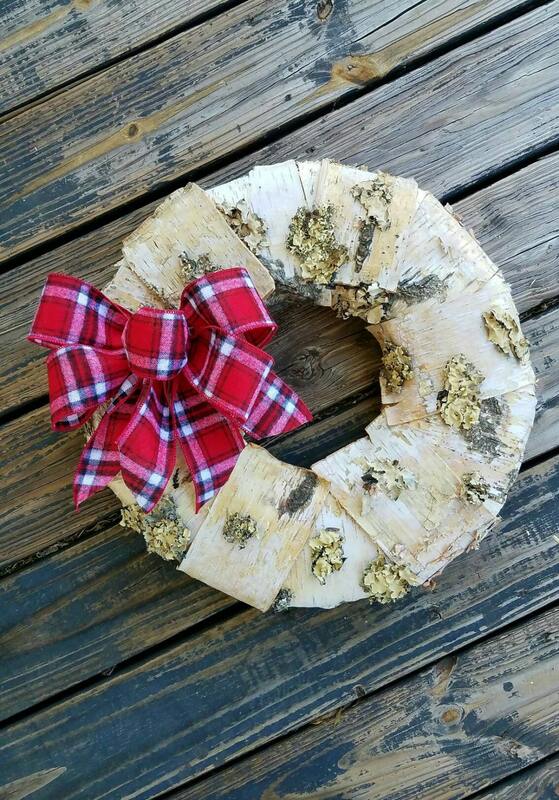 DyJo Designs has the perfect solution for your home and wedding Christmas time decor needs with this 19 inch rustic, birch bark wreath. 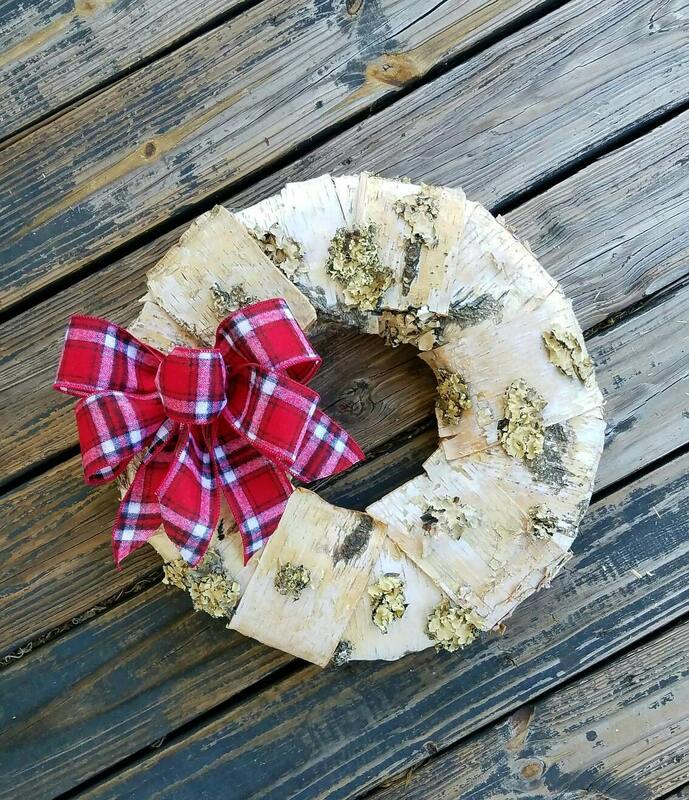 The base is carefully construsted with not one but two wreath forms to create a thicker wreath. 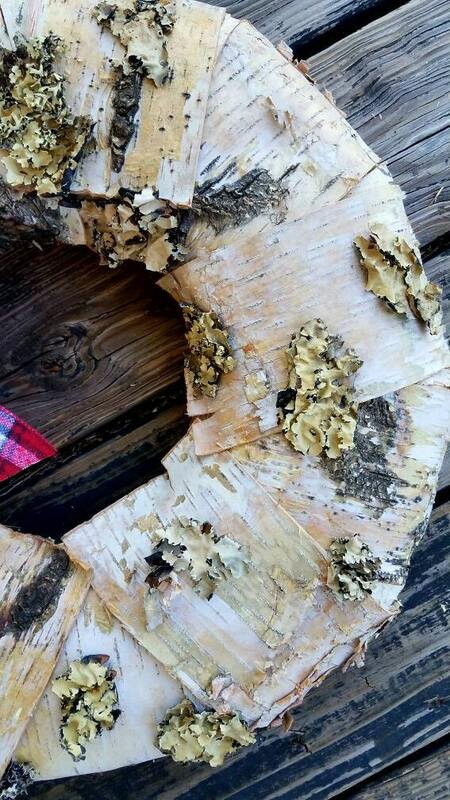 Birch bark is then steamed and wrapped around the wreath base to dry to the contours of the wreath. 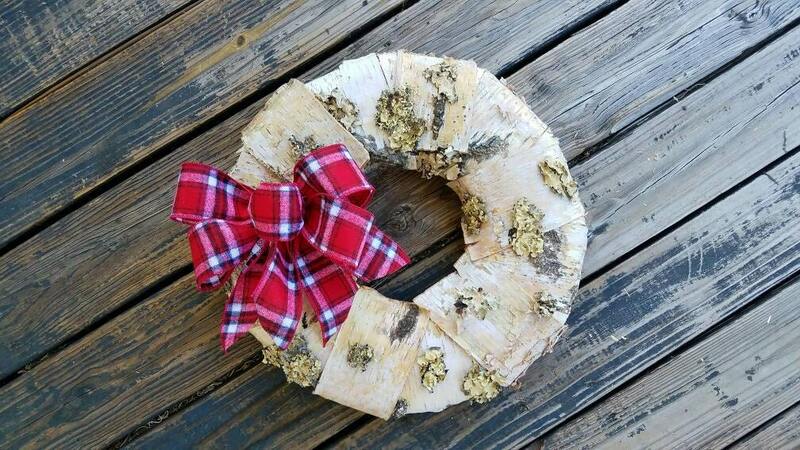 Once dry the birch bark is attached to the wreath form and lichen is added. 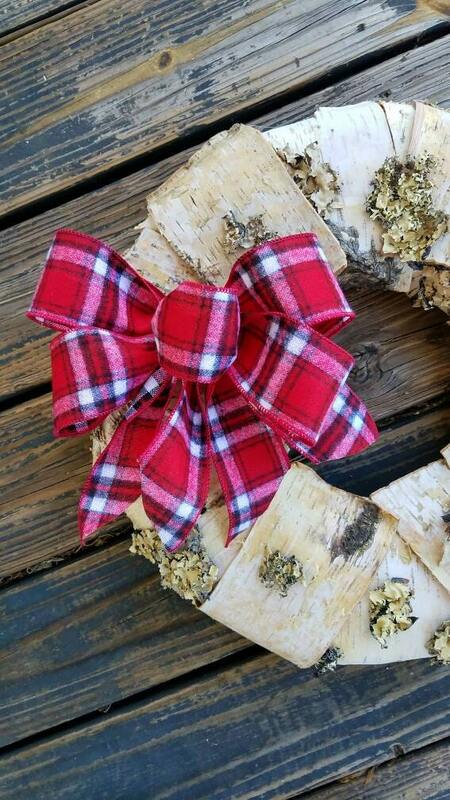 A beautiful yet simple flannel, plaid bow is added to the wreath to give it a little added Christmas flare.